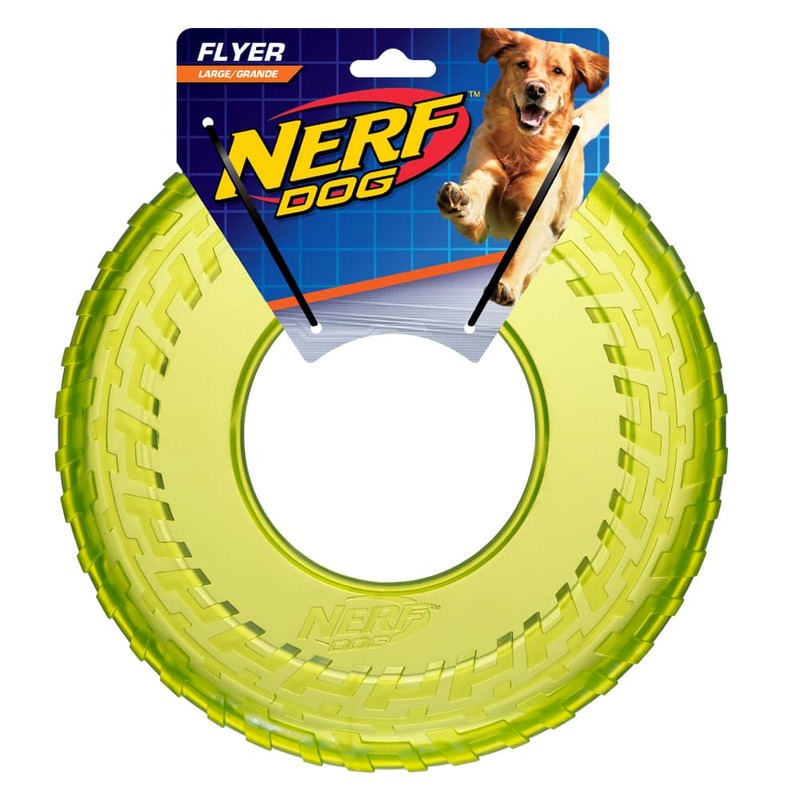 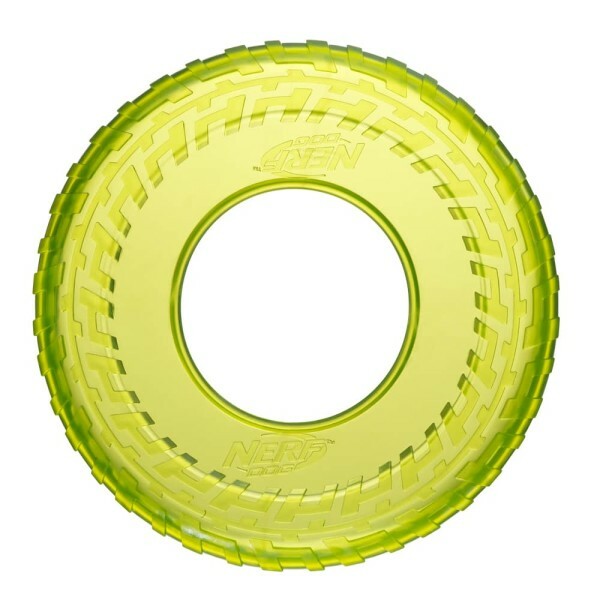 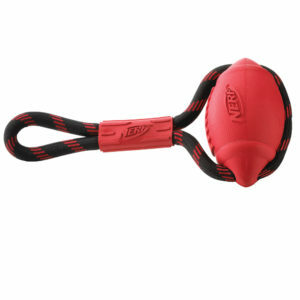 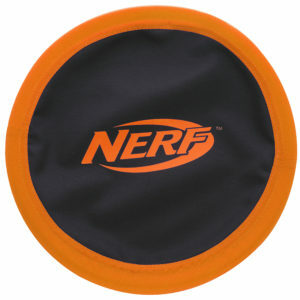 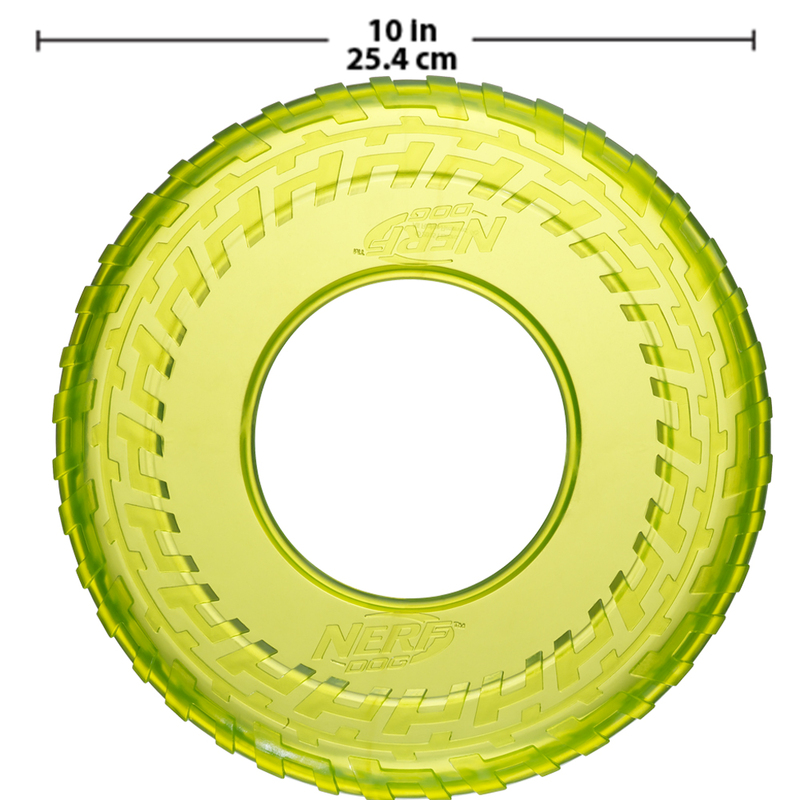 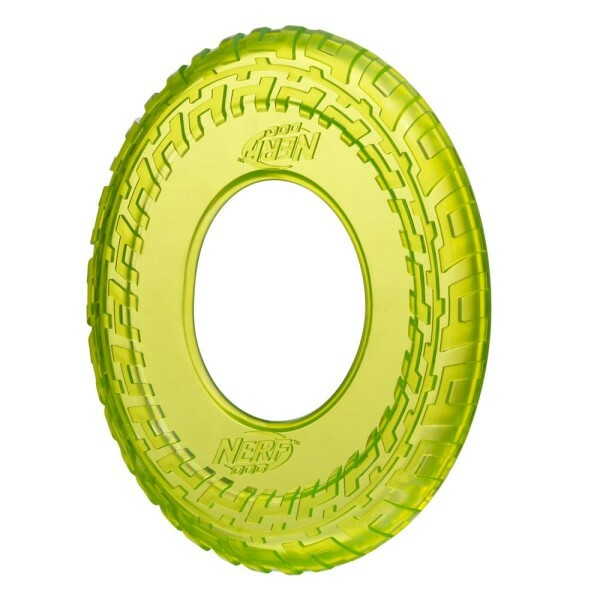 The NERF DOG 10″ large DOGTRAX TPR Translucent TIRE Flyer will entertain you and your dog for hours on end! 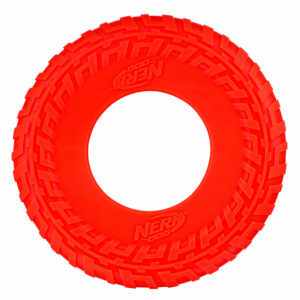 Take it to the lake, beach or pool â it’s made of lightweight thermoplastic rubber that floats in the water! Your dog will love the action-packed fun.